The phenomenon of viral marketing videos offers a wealth of opportunity to observe social psychology in action. What makes them work? Why do they fail? We’re going to take a look at Mercedes’ recent viral video, ‘The Catch’ to see how it works an audience, and why that’s contributing to it going viral. 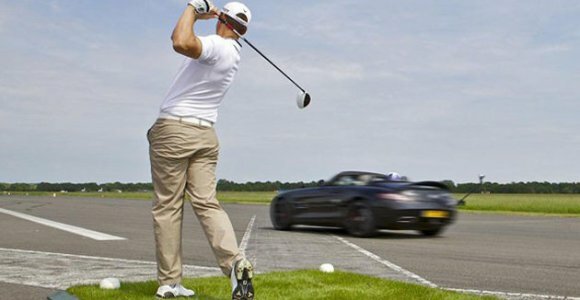 Mercedes kind of include the vehicle they’re marketing – the SLS AMG Roadster – as almost an afterthought to the video. Sure, the car’s being driven in the main, but it is hardly tarted up (in fact, with all the camera equipment it looks pretty tarted-down). The video makes no claims as to its speed, efficiency, or aptitude to this particular task. And that’s a really, really good thing. Many companies make the attempt to create a viral marketing video from the mission inwards. That is, they set out with a profit goal and are willing to see what it takes to make that happen. Remember the ‘golden target’ model of business? Your profit – and your operations – must all come from a central value, or ethos. It’s best if that ethos clicks with our basic humanity. So, rather than setting out with viral marketing in mind, the crew obviously set out to do something amazing, and film that process. And it does. There’s a strong narrative to the video, and because the product seems secondary (and the cinematography is mock-amateur), it’s hardly as if you’re watching a commercial. In fact, I forgot I was – I was watching something awesome. And that’s a key reason why people share videos – because they’re innovative, new and fun. They’ve included top-rate stars – David Coulthard and Jake Shepherd – and that makes it only more awesome. They’re two of the world’s best out to beat a weird world record. We could almost imagine them doing it in their spare time – and that hits another key success point. The folks charged with directing the video have done their stuff really, really well. They’ve set out to do something remarkable, imbued it with a narrative, included recognisable and trusted stars and a great product, then buried all that behind an amateur film-style. There’s loads of smiling, which we as humans love. Why do people smile in adverts? It’s more than just making us want to be ‘that’ happy – it’s a key trigger for the production of endorphins. They make us feel protected, safe and – importantly – trust the individual that’s doing the smiling. There’s tension in the narrative – we get a hit of dopamine at the announcement of the challenge, which is not clearly-stated. Because we are guided to figure it out for ourselves, we feel as if we have established the challenge itself, so our goal system kicks in with wanting it to be achieved. The same can be seen in a number of modern films – the plot-laying deliberately vague, such that the watcher must discern the film’s direction for them and, thus, be better invested in what they’re watching. The fact that there’s no music aims to avoid suspending the viewer’s belief – it’s an unnecessary distraction from the polished reality of what’s occurring on-screen. Sure, there are a host of other reasons that a video may or may not go viral. But ‘The Catch’ is a pretty good example of what to do to help out. And, with just under 2 million views – it has all the hallmarks of successful viral marketing.